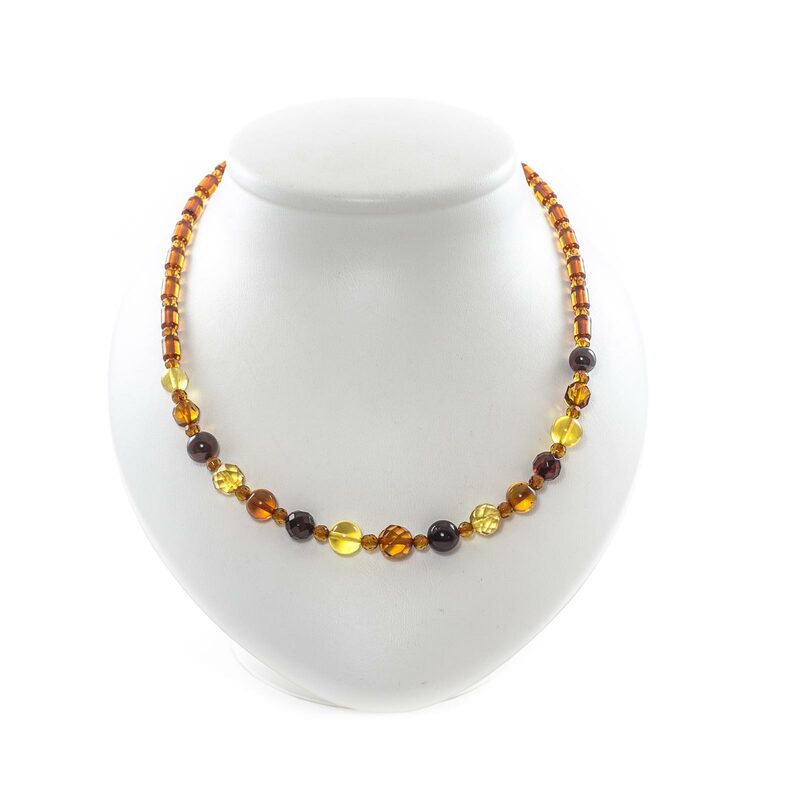 In this necklace we combined seemingly incompatible things – elegant classics, bold and bright image, festive luxury and cozy warmth of a summer morning. 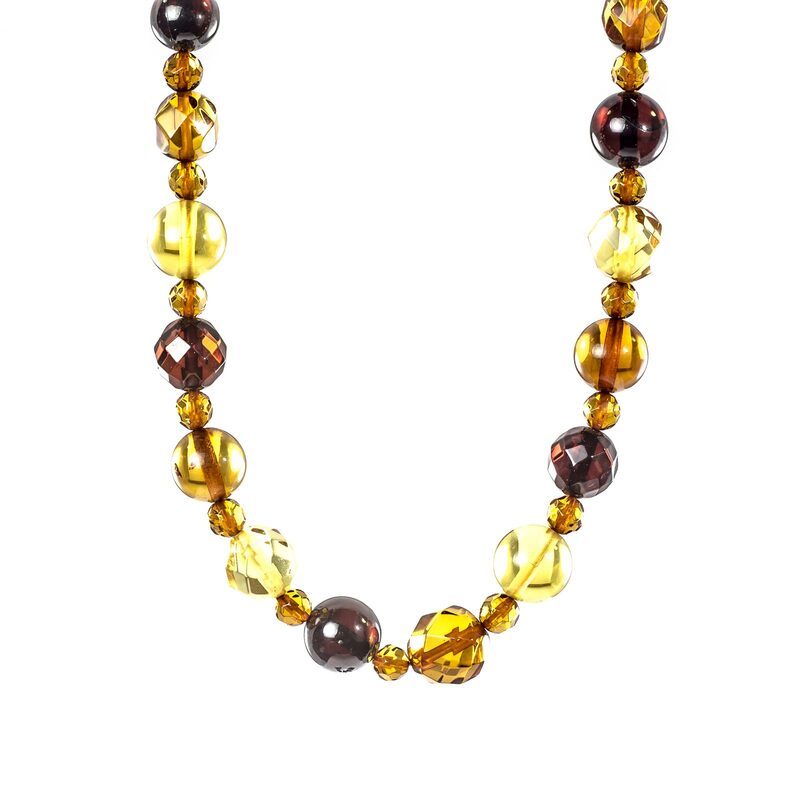 The necklace is made of amber beads with a diamond cut, beautifully iridescent in the light. Combine decoration with a variety of images, shine, attract attention and be beautiful! Diameter of amber crystals up to 9mm.